As I mentioned, I'm looking forward to being at The Hollywood Show in Chicago on Sept. 6th-8th, 2013. One of the exciting guests in attendance will be actress Kristy McNichol. So I'm motivated to re-visit one of her past roles in a Christmas episode. Do you remember the second season episode "Little Lost Girl" of the police/action series Starsky & Hutch? You know it's Christmas because there are holiday decorations hanging from the car's rear-view mirror. 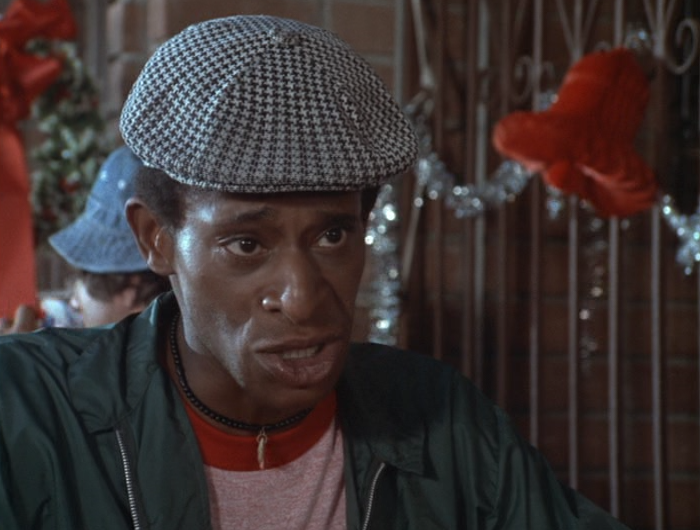 The story opens with Hutch bitterly explaining that he has no intention of buying his partner Starksy a Christmas present this year. 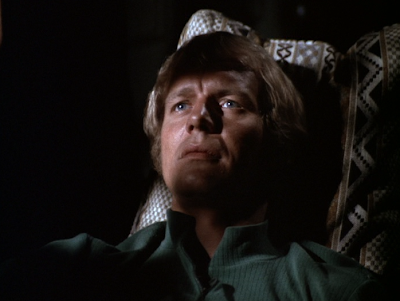 Hutch claims he's trying to avoid the phony "euphoric sentimentalism" he sees everywhere around him this season. Meanwhile, Starsky cannot stop himself from whistling and singing Christmas carols throughout the episode. The Zebra 3 receives a call--there's an armed robbery in progress nearby! America's Most Wanted: Molly Edwards, a hungry girl with little parental supervision. It turns out a local grocer has made the false report in order for the police to come and capture an underage shoplifter that has repeatedly ripped him off. 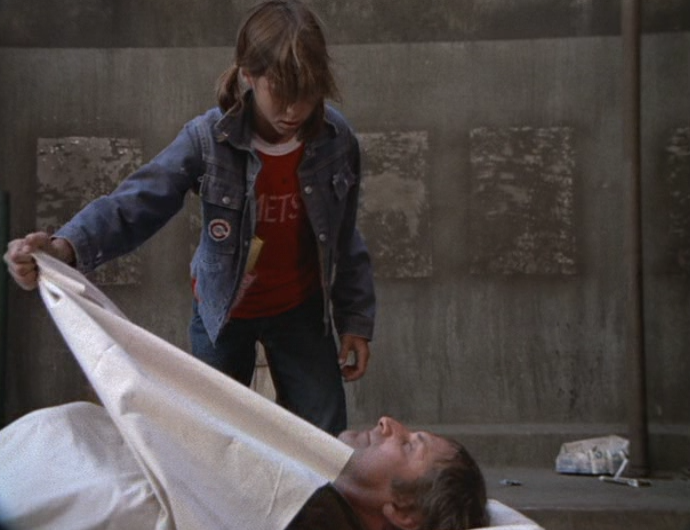 This twelve year-old delinquent is tomboy Molly Edwards who just wants to be left alone. Starksy and Hutch get her away from the angry grocer and take her home. But what they find there alarms them--she lives in a dingy apartment that's filled with empty liquor bottles. They decide to wait with her until a parent arrives. No happy Christmas for this little lost girl. After several hours, they receive a phone call--Molly's father has been killed. 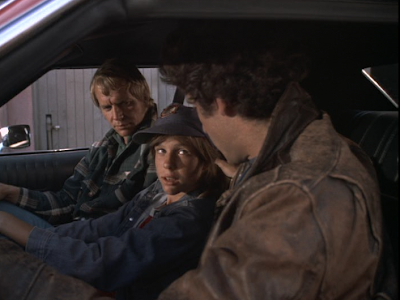 Looking into his background, Starsky and Hutch discover that Molly's father had just been released from prison two months ago. He had served time after getting caught for a jewelry store robbery in which several stolen diamonds had not been recovered. His two accomplices had never been found either. It looks like Molly will have to return to her foster home as soon as the family can be contacted. In the meantime, she'll stay with Hutch at his apartment. Hutch listens as Molly cries herself to sleep. 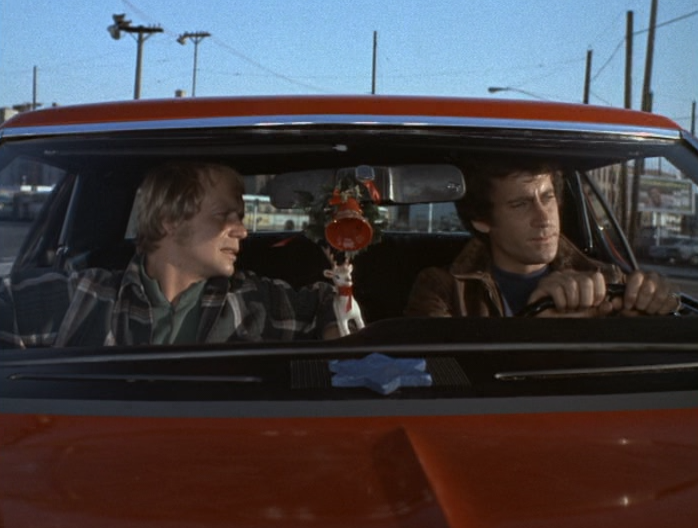 Trying to help, Hutch finds himself offering to take Molly Christmas shopping and Starsky brings a Christmas tree to Hutch's apartment. When Molly is returned to her foster family, her father's accomplices scheme to recover the stolen diamonds by kidnapping and forcing Molly to reveal what she knows. 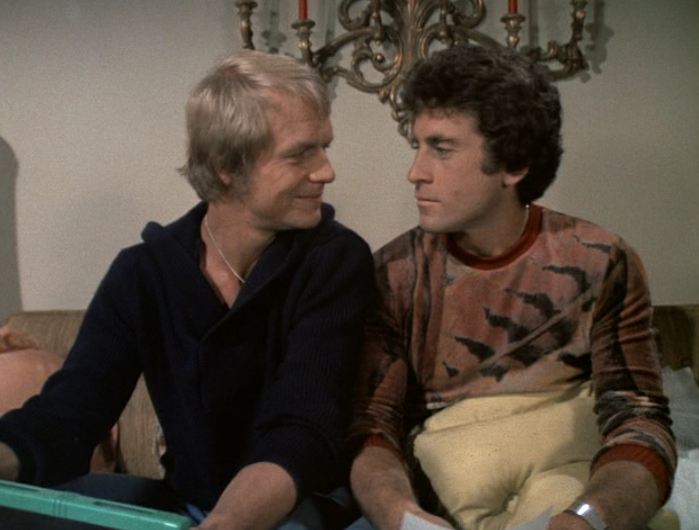 Now Starsky and Hutch must track down the two armed robbers who are the number one suspects in Molly's father's murder--but Molly as well! YYESS!! This Christmas story includes everyone's favorite informant, Huggy Bear! These two bad guys are menacing however one of them looks like an evil Johnny Mathis!? Though Molly escapes from the bad guys clutches, she eventually uses herself as bait to lure them to her once again so they can be more easily caught! 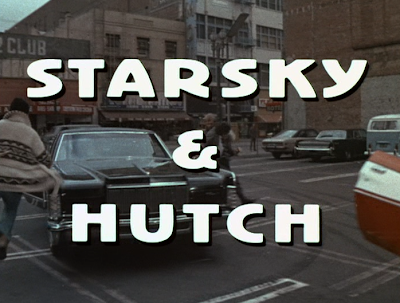 This is not the plan Starsky and Hutch had in mind--but it works and the baddies are eventually caught. Hutch has demonstrated quite of bit of "euphoric sentimentalism" over this little girl this holiday season--and Starsky won't let him forget it! 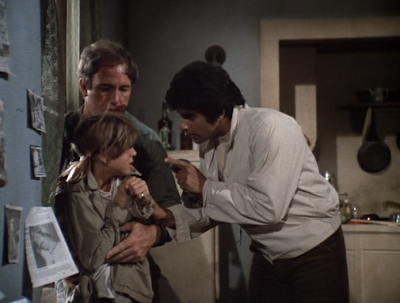 And on Christmas morning, Starsky, Hutch, Molly, and Hutch's friendly neighbor boy named Kiko all open gifts together. As a ridiculous punchline, Starsky gives Hutch an ant farm as a gift and Hutch gives his partner a certificate that states that a tree has been planted in a nearby park in Starsky's name. If you're a fan of Kristy McNichol like I am, you may want to join me in Chicago at The Hollywood Show. Get your tickets now! 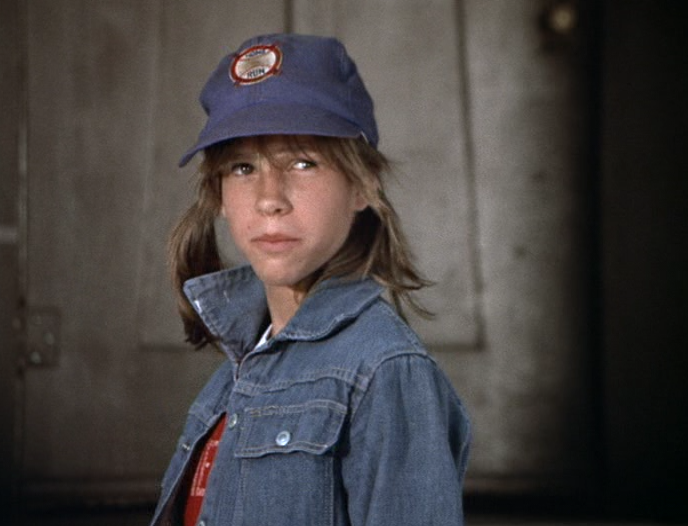 You may also notice among the 36 celebrities attending the show, her brother Jimmy McNichol will also be there. I can't wait! Kristy also appeared in both of The Carpenters' musical Christmas TV specials in 1977 and '78. Why aren't these on DVD yet? 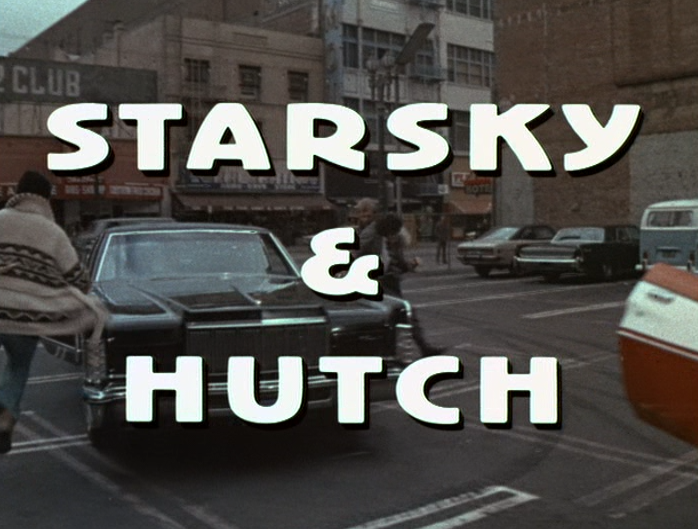 Hutch and starsky was definitely a hit.. it's strange how you cannot recognise some of the artists when they grow up.. maybe because they change vastly in appearance or lose their fame with time.